Blending pop, R&B and soul, James Graham brings a unique and powerful voice to the music industry. He recently won Season Two of FOX’s hit competition series, THE FOUR: BATTLE FOR STARDOM, earning a record deal with Republic Records; career guidance from the show’s panel of music experts, including Sean “Diddy” Combs, DJ Khaled and Meghan Trainor; and being named iHeart Radio’s “On The Verge” artist. Graham originally shot to fame competing on “The X Factor UK” in 2014. 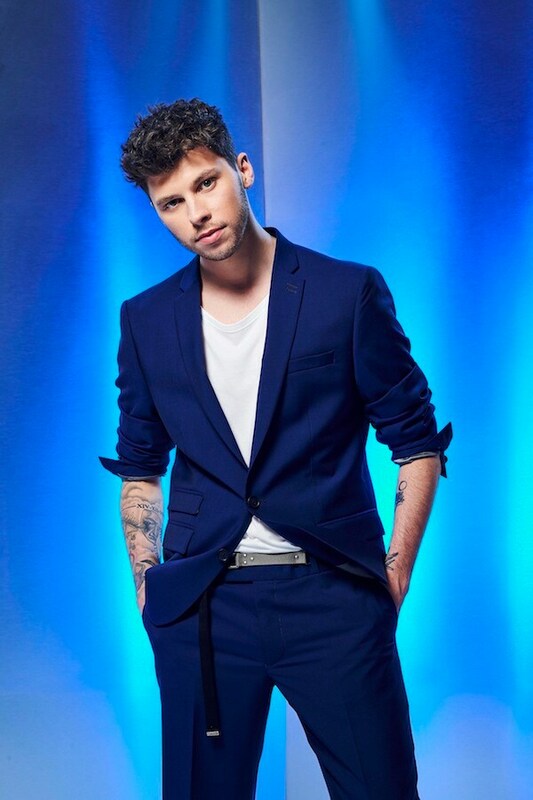 After the show, he joined boy band “Stereo Kicks,” whose debut single charted on the U.K. singles charts. Graham also has worked with Rodney Jerkins, who has produced songs for multiple chart-topping artists, such as Michael Jackson, Beyonce and Mary J. Blige. With undeniable spirit, mile-high range, and earthquaking delivery, Evvie McKinney exudes her own sense of style, swagger, and soul that’s both classic and current. Born and raised in the birthplace of Soul and Rock ‘n’ Roll Music Memphis, TN, the 20-year-old made history when she emerged as the first winner of FOX’s hit series The Four: Battle For Stardom. However, her journey began at five-years-old when she joined her first choir at the urging of her mother and musician father. One of seven kids, she faced hardship throughout childhood with dad passing in 2005 and mom struggling to support the family. Living in a home provided by Habitat for Humanity, Evvie pursued her dream relentlessly. She went from the Young Actors Guild Theatre and Dance Company to Stax Music Academy where she assumed the role of lead singer and actress. Along the way, she performed for everyone from David Porter to LaLa Hathaway and shared the stage with Sam of Sam and Dave and Larry Dodson of The Bar-Kays, to name a few. By 2015, she achieved a National YoungArts Foundation scholarship and would be recognized as its “Merit Winner” in Popular Voice. 2017 saw her audition for The Four. From the jump, she instantly captured the hearts of millions by belting out classics from Aretha Franklin and Tina Turner in addition to serving up a heart-wrenching rendition of the Academy® Award-winning “Glory” by Common and John Legend. Now, she stands poised to leave an indelible mark on soul with her debut single “How Do You Feel” and more music on the horizon.